After parting company with Bodog in May, poker pro David Williams has now landed a sponsorship deal with the world largest online poker site, PokerStars. 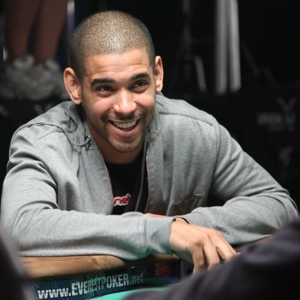 David Williams was originally the longest-lasting and most recognizable sponsored player at Bodog, but whereas other poker sites such as Full Tilt or PokerStars are continually bolstering their team of sponsored players, Bodog were content to let their numbers dwindle to just two female players; Evelyn Ng and Amanda Musumeci. Amazingly, David Williams had just won the WPT World Poker Classic at the Bellagio in April for $1,530,537, when the announcement of his leaving the site was released. In the absence of any statements, it was speculated that Williams may have been unsatisfied with the bonus awarded to him by Bodog after taking down such a prestigious tournament. David Williams will now be looking forward to a long and lucrative association with PokerStars, after it was confirmed by his managing agency, Poker Royalty, that the deal had gone ahead. He came under the mainstream poker spotlight after placing second to Greg Raymer at the WSOP Main Event in 2004, earning a staggering $3.5 million in the process. Since then, Williams success has continued unabated and he even managed to pick up a gold winners bracelet in the $1,500 7 Card Stud event at WSOP 2006 to crown his achievements. To date Williams has earned $7,893,000 from live tournament cashes throughout his incredible poker career, with the majority of his wins coming in WSOP and WPT events. We would like to wish David Williams the best of luck at his new home at PokerStars.